Like her father, Jax, Specialist Jacqueline Sonya ("Jacqui") Briggs has dedicated her life to soldiering, and excels at it. Unlike Jax, Jacqui does not have her father's approval regarding her decision to join a secret Special Forces offshoot. After Jax's horrific experiences as a revenant in the service of Quan Chi, he wants to protect his daughter from a similar fate. 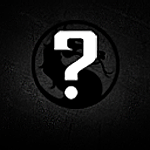 Jacqui loves her father but yearns to help Earthrealm in its fight against hostile realms. A part of her wants revenge on those who hurt Jax.